New Zealand-born rugby union player who became known as Flanker for the Chiefs and the New Zealand sevens team. 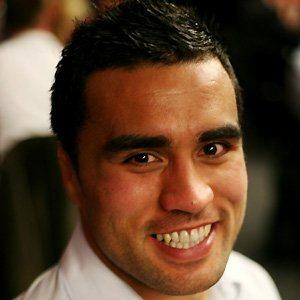 He played for the New Zealand Maori in the 2006 Churchill Cup. He was chosen as part of New Zealand's best sevens team of all time. He was born in Blenheim, New Zealand and attended Rotorua Boys' High School. He was dropped by the Tri-Nations for Victor Vito a month before the Rugby World Cup 2011.